“I am representing women of color everywhere. Because we NEED representation. It is always the women and the people of color who are marginalized and we deserve a seat at the table where decisions are made, especially decisions about women’s rights. Latinas come from a culture where, because we are women, we are told to stay quiet. “Calladita te ves más bonita,” they say. Which translates to “You look prettier when you are silent.” With all due respect, women who stay silent do not make history. Women who stay silent do not make change! 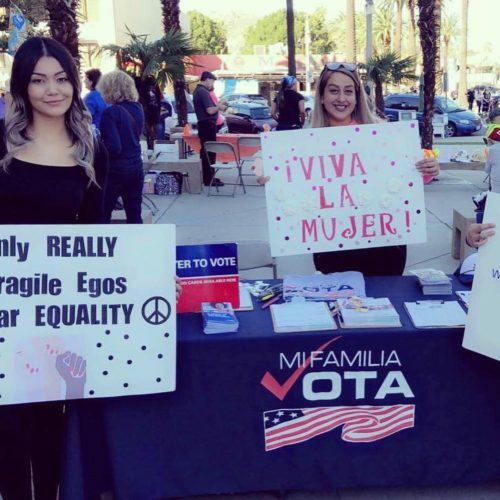 The 2018 midterm elections marked a change in female political empowerment: never before in the history of our country have there been so many females – and specifically Latina women- registered as candidates for elected office. And the election results showed huge wins for females across the country, including Latinas. We are making substantial progress in the political participation and involvement of Latinas in elected offices, and our growth will only continue. We made history on November 6, 2018. We did this by uniting, fighting, and winning! And to be honest, we did this by USING OUR VOICE. We took a step in the right direction but a woman’s work is never done. It is possible for women to triumph. If women win, we all win. This is why civic participation is so important. We’ve elected new leaders, now it’s time to hold them to the promises they’ve made. Contact your Congress, contact your mayor, contact your city council representative. Don’t let them forget that we’re going to keep voting at every election so we want results. And we’ll keep fighting until our community has what it deserves, until women have what they deserve, until Dreamers and other immigrants have what they deserve. MFV is committed to using our voices to create a more just and equitable society. 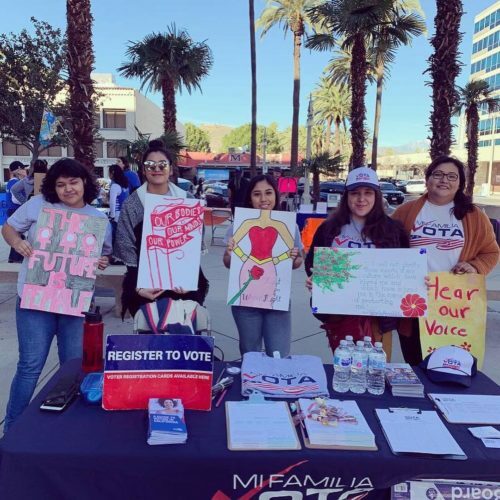 We are harnessing the energy that was built this past election cycle to fulfill objectives that benefit the Latino community and our nation; the Women’s March is one way that Latinas are leading the way to accomplish this.